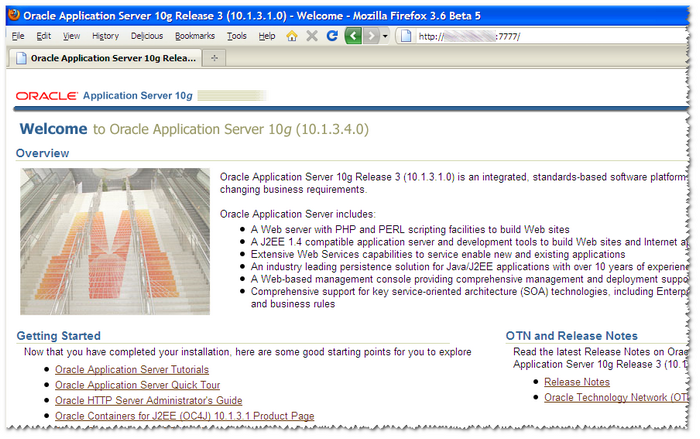 Oracle Application Server (OAS) is the Web and Application server typically deployed with OBIEE. There are several settings which by default may be viewed as security weaknesses. Whether realistically a target or not, it’s good practice to always be considering security and lock down your servers as much as reasonably possible. I adopt the default stance of having to find a reason to leave something less secure, rather than justify why it needs doing. There are various tools and companies out there that will help you scan your deployments for weaknesses. In reading about this I found Nikto which runs on all platforms. In essence it takes a hostname and port and scans for known vulnerabilities in web servers (not just OAS). Listed below are some of the simple things you can do to secure your default deployment of OAS. In the text below I refer to $OAS_HOME which may not be an actual environment variable, but is the home directory of your OAS installation. Don’t forget to backup config files before you change them, and take backups of deleted files and directories. After making the changes bounce OAS (opmnctl stopall; opmnctl startall). As well as the specifics below you should always keep an eye on Oracle’s Critical Patch Updates. This removes some server version info from the HTTP header, and is the least possible data to reveal in Apache. 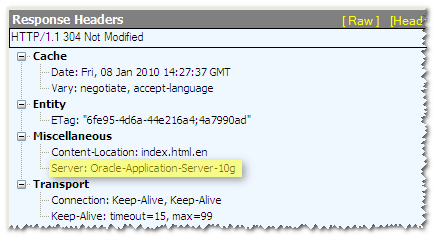 Read Apache Tips: Disable the HTTP TRACE method/ for information on how to see if HTTP TRACE is enabled. It is by default in OAS, and most security scanners will pick it up as a problem. 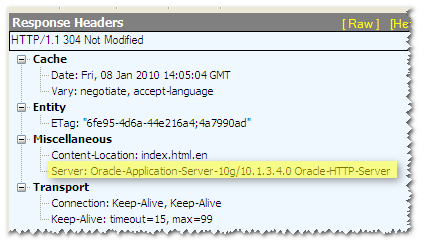 Most web and application servers come with default content such as example pages or “Welcome” pages, and OAS is no exception. The reason for getting rid of this content is to give potential attackers one less thing to work with. Static content might give them information about software versions or paths. Dynamic content (JSPs etc) may be exploitable. Either way – what is to be gained from leaving it in place? This could help an attacker as they are given a username to start trying to login as. If you know, please leave a comment! When I started implementing this I used opmnctl restartproc, but found that HTTP_Server came back as status “Stop” or “Bounce”. I also got errors like: “time out while waiting for a managed process to restart”. What I think happened was that the httpd (Apache) processes didn’t come down properly, and so couldn’t restart. It’s possible to change the error pages served up by OAS/Apache by using the ErrorDocument directive. This is widely documented. However, to get this to take effect in an oc4j application (such as analytics) you need to change mod_oc4j.conf too. This will make any HTTP 500 (Internal Server error) errors show the page 500.html, instead of the default Apache one. We’ve got a setup of two OAS/Presentation Services boxes and two BI Server boxes, with load balancing/failover throughout. The Load Balancing of the web requests is being done through a separate bit of kit, an F5 BIG-IP load balancer. This directs the requests at the two OAS servers. -You are not connected to the Internet. -The website is encountering problems. -There might be a typing error in the address. Failed to Connect The connection was refused when attempting to contact bi.mycompany.com:7777. 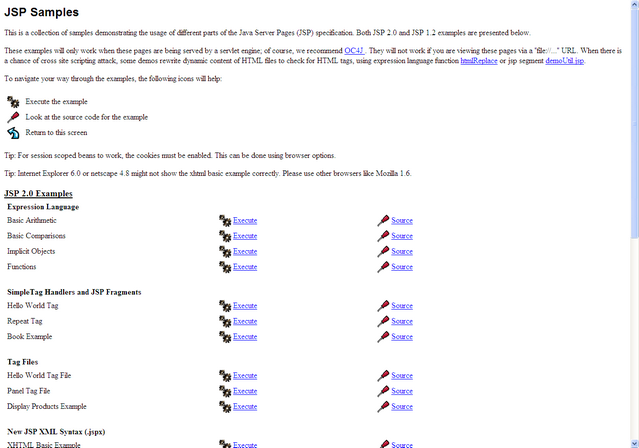 Though the site seems valid, the browser was unable to establish a connection. Looking at the httpd.conf for Apache to find the port config made me think of the UseCanonicalName setting which I also encountered recently. This setting is to do with how Apache deals with the server name in the URL being requested and the hostname of the server configured in Apache. When I got the behaviour described above UseCanonicalName was set to Off, which I think means Apache does not rewrite the URL at all, so the redirect was to http://bi.mycompany.com:7777/analytics/saw.dll?Dashboard which is the F5 Load Balancer address. i.e. the request goes directly to one of the load balanced servers, and correctly on port 7777. The disadvantage of this is that the URL used by the web client then becomes http://oasserver_1.mycompany.com which means the user is no longer hitting the load balancer so any failover wouldn’t get picked up. It also means that users might start bookmarking OAS servers directly instead of the load balancer, again meaning that they don’t hit the load balancer so a server failover wouldn’t get picked up. 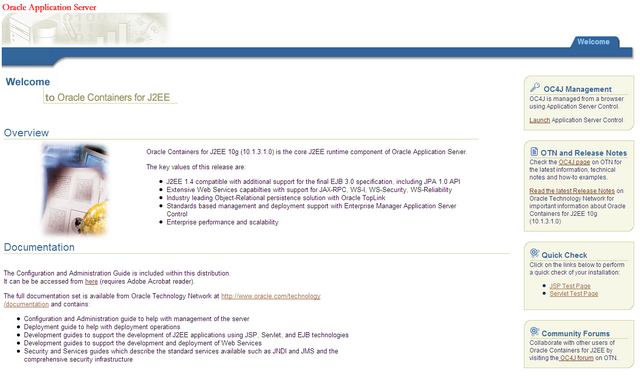 Eventually I got this resolved, with a bit of help from a very helpful chap at Oracle. 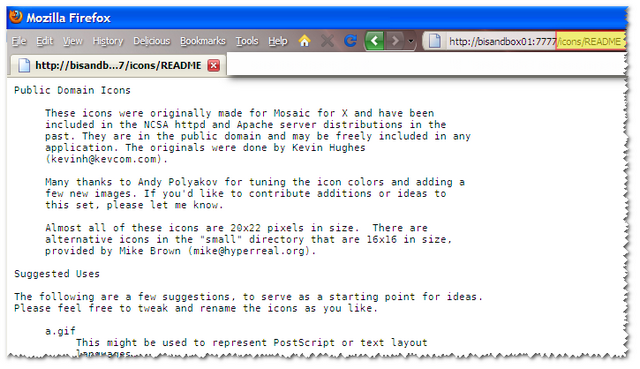 By changing the httpd.conf to set Port 80, when Apache rewrites URLs it now uses Port 80. Traffic from web client now hits the LB on port 80, which forwards to 7777 on one of the OAS servers, which if necessary rewrite the URL and use port 80 in the rewrite. Because Listen remains as 7777 there is no need to run Apache as root. 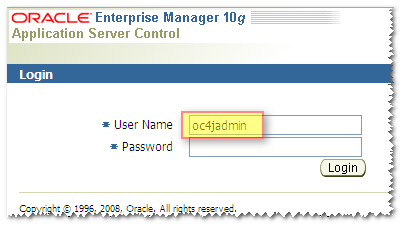 You can also set ServerName to the load balancer address (bi.mycompany.com) and UseCanonicalName to On. If you do this then I don’t think it’s possible to access web pages on a specific OAS server (eg oasserver_1) because entering http://oasserver_1.mycompany.com:7777/analytics just redirects to bi.mycompany.com/analytics. A very minor irritation, but an irritation nonetheless, is when I go to Application Server Control in OAS I have to login twice. Reading around I found this is an Apache feature, and is actually designed behaviour. When you request a page from Apache using a hostname other than that configured as ServerName in Apache’s httpd.conf, it redirects you to the version of the page using the ServerName. If I go to http://myserver.company.fqdn.net:7777/em/ I get the login page as expected. Having typed the password I get sent to the login page again – but this time at http://myserver-app.company.fqdn.net:7777/em/, and this ties in with httpd.conf in which ServerName is myserver-app.